Watch out, this bed will fool you every evening. 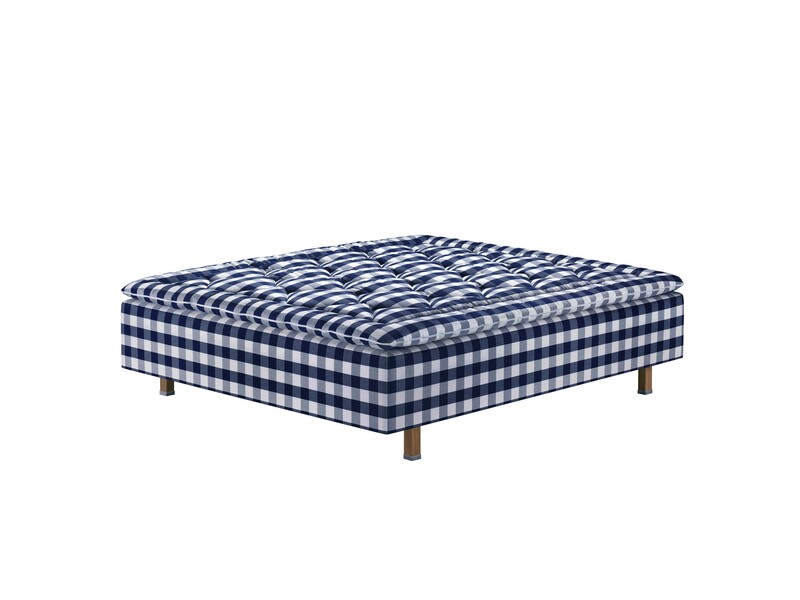 Your eyes tell you that the base of Superia bed is only 37 cm off the floor. But once you lie down and close your eyes, that expanse grows. To infinity, in fact. The best frame bed we have ever built. 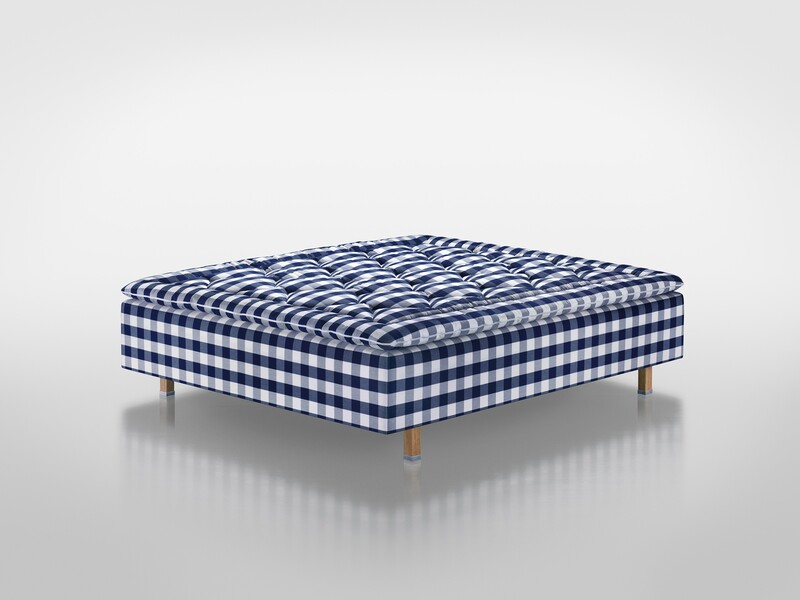 In our opinion, the feeling that comes from resting in a Hastens Superia can be described in a single word: bottomless. 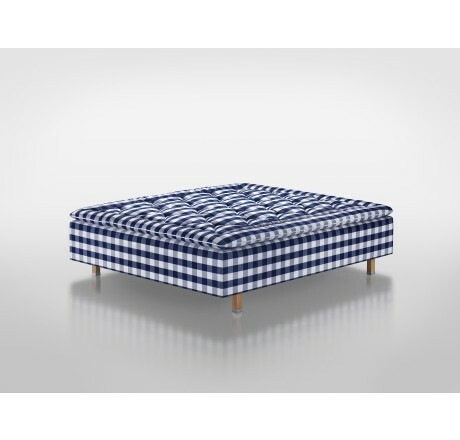 In the absence of resistance or pressure from below, you will sink almost weight­less into this bed. Just deep enough to keep your spine straight, whether you are lying on your side, stomach or back. Our most amazing frame bed so far. Built to make you relax and wake up infinitely rested. What you may not realize is that there is an entire universe of bed-making artistry beneath the surface: a double spring system, 14 layers of natural materials carefully selected and combined, all resting on a sturdy wooden frame. This, unfortu­nately, is a universe that you probably never will see. After we arrange this exquisite ensemble of horsetail hair, cotton, wool, flax, steel and wood, we hide it forever beneath a cloak of the finest fabric. 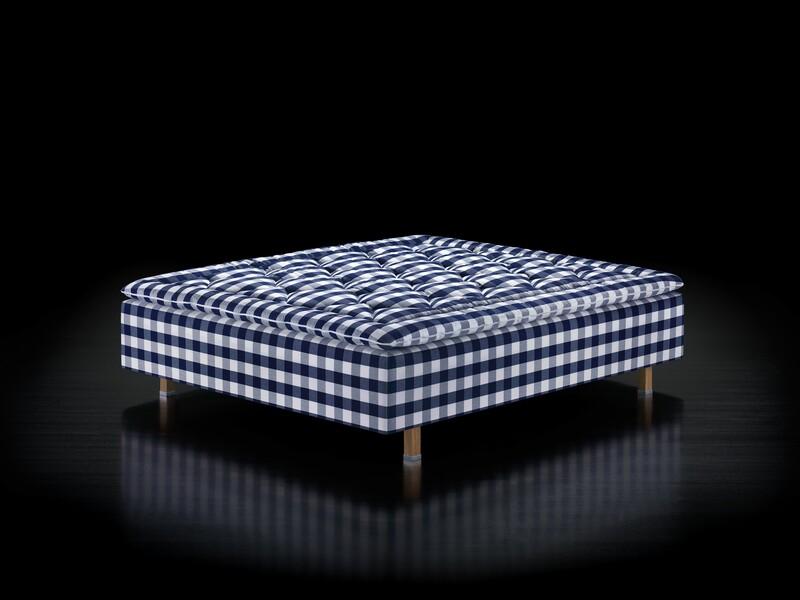 Our goal with Superia was to evoke a feeling of bottomless comfort that will make you forget you're even lying on it. That's how Hastens helps make the most of your nights and the infinite possibilities that each new day brings. YOUR BODY IS UNIQUE. YOUR SUPERIA CAN BE TOO.